Mike has been a fantastic ambassador for UFX.com over the past three years and we’re thrilled that he has signed up for 2017! 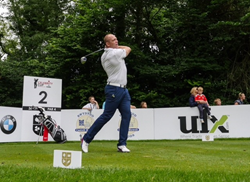 Former England rugby captain, Mike Tindall, has re-signed with UFX.com as a brand ambassador for a fourth consecutive year. The online Forex broker has partnered with Tindall since 2014 to help promote its trading services. In early 2016, UFX.com launched its new ParagonEx 4.0 platform and in-house developed trader behaviour tracking technology, MassInsights™. MassInsights™ helps traders make informed decisions by allowing them to view a collective of other traders and see how they are trading. Mike Tindall, who won 75 caps for his country, including the memorable 2003 Rugby World Cup Final, is a keen trader and sees many parallels between the anticipation and excitement of trading with high class sport. Dennis de Jong, managing director at UFX.com said: “Mike has been a fantastic ambassador for UFX.com over the past three years and we’re thrilled that he has signed up for 2017. Mike Tindall added: “I’ve really enjoyed working with UFX.com over the past three years and they’ve given me some excellent insight and coaching into the fascinating world of trading. It has been a year to remember for UFX.com with the firm winning a number of high profile industry awards. UFX.com won Best Trading Platform and Best Trader Loyalty Programme at the FX Report Awards. MassInsights™ was awarded Best Trading Tool at the UK Forex Awards, while The European magazine voted UFX.com FX Broker of the Year and Managing Director Dennis de Jong FX Director of the Year. UFX was founded in 2007 and has grown into a leader in the online trading industry. The company is fully licenced and regulated and holds traders’ privacy and security to the highest standard. It’s easy to sign up for an account with UFX and even easier to start trading. Whether you’re a novice trader or experienced in the industry, UFX has all the tools you’ll need to get started.